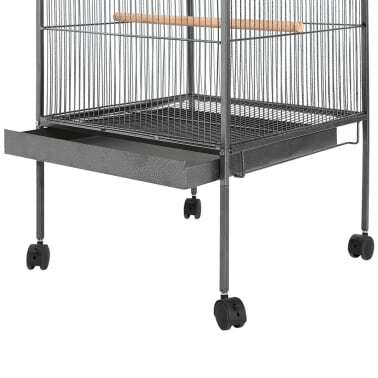 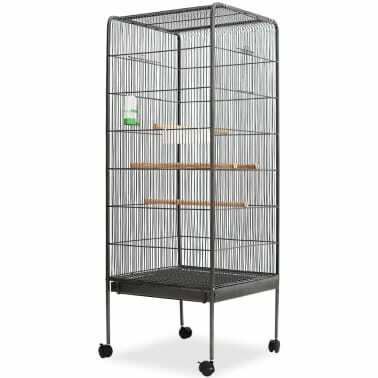 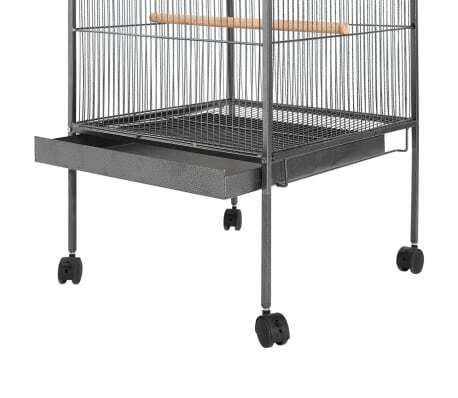 vidaXL Bird Cage Steel Black 21.1"x21.2"x57.5"
This large bird cage is an ideal abode for your pet birds. 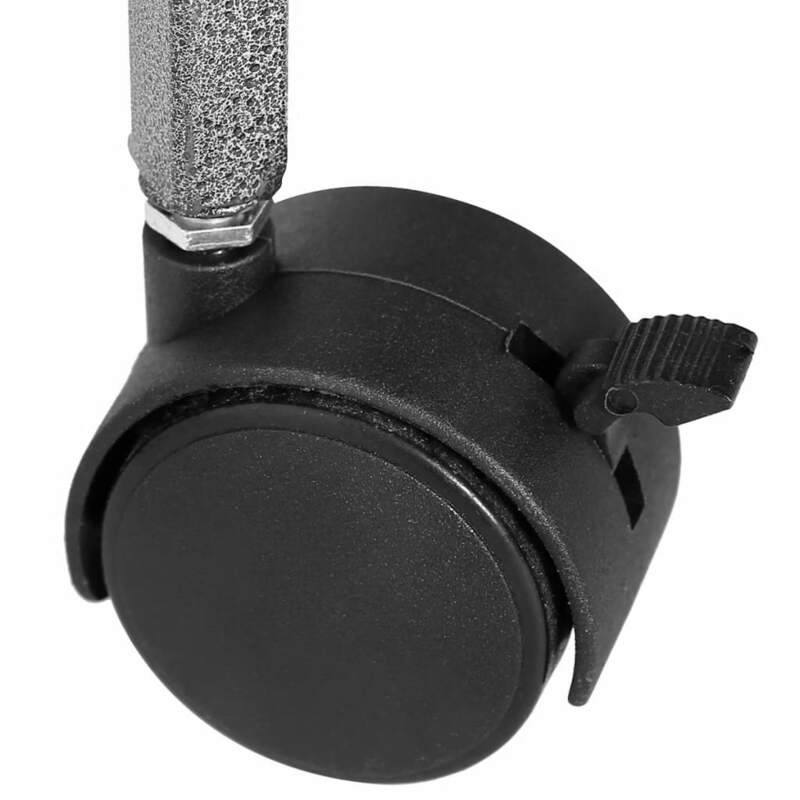 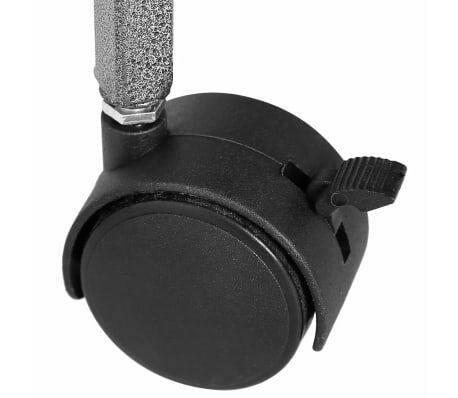 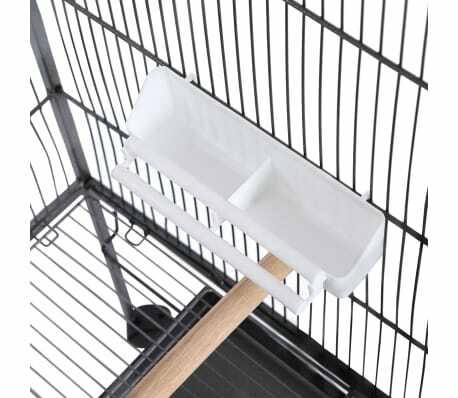 It has ample place and four wooden perches for your feathered friends to fly and play safely. 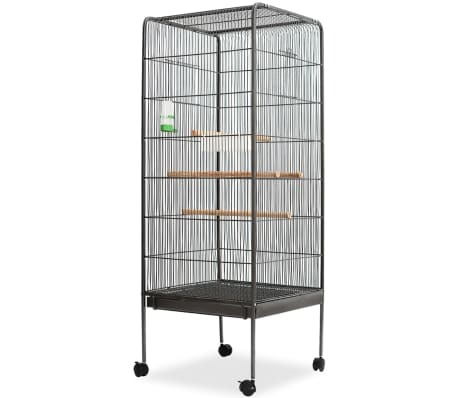 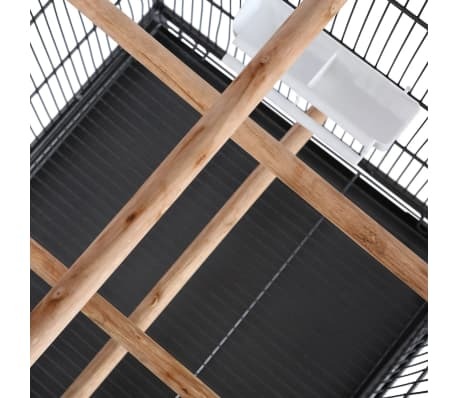 This high-quality aviary has a tightly spaced steel wire grid all around to prevent mischief and unexpected accidents. 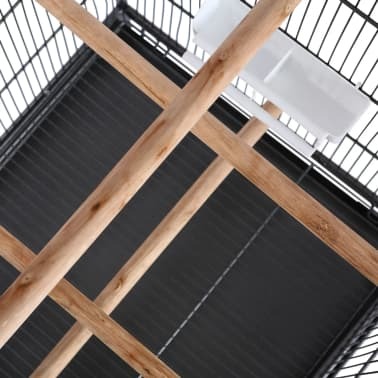 The construction of the grid allows you to observe the birds and the birds to look at their surroundings and get enough fresh air. This strong and durable bird cage has a high-quality steel frame. 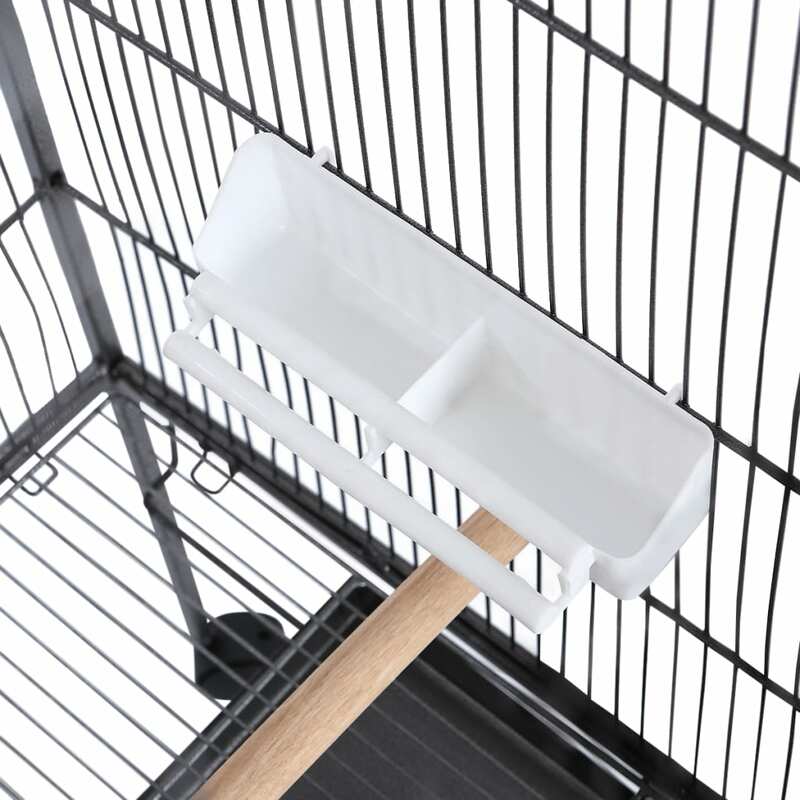 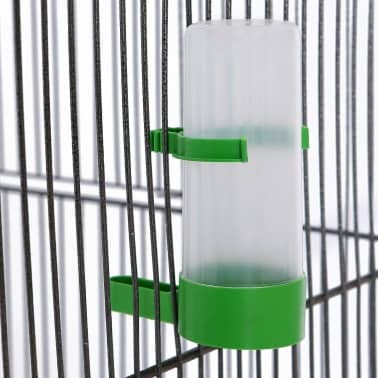 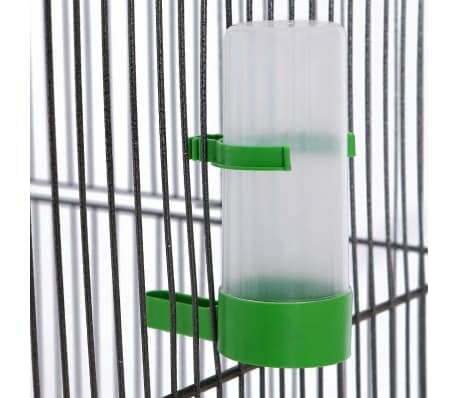 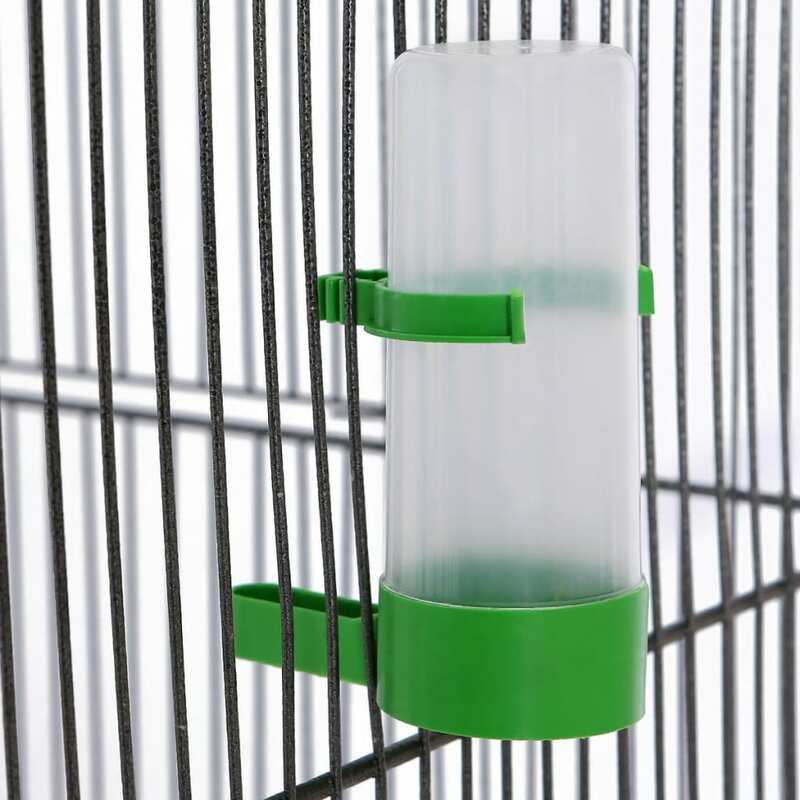 A pull-out tray at the bottom of the bird cage makes cleaning easy. The cage is delivered with 1 feeding tray and 1 water dispenser and has four castors which make it easy to move the cage around.